We are an officially recognized GoRuck Ruck Club, and we host multiple Ruck Club events every month. Our next public GoRuck events are listed here. See details below. 1. Be ready to move and warmed up by 7AM on the dot, OR attend a free, guided warmup from 6:30-7 am just outside the gym. 2. You do not need your own ruck or bag, but if you can bring one please do. 3. This hour is not just a workout, it is a class in teamwork, leadership, and communication. 4. Wear gear appropriate for outdoors, and clothes that can get a little dirty. We WILL be OUTSIDE. 5. Highly recommended: having a morning beer with us afterward! Sign up to join us for free: CLICK HERE to see our GoRuck Ruck Club Event Calendar. 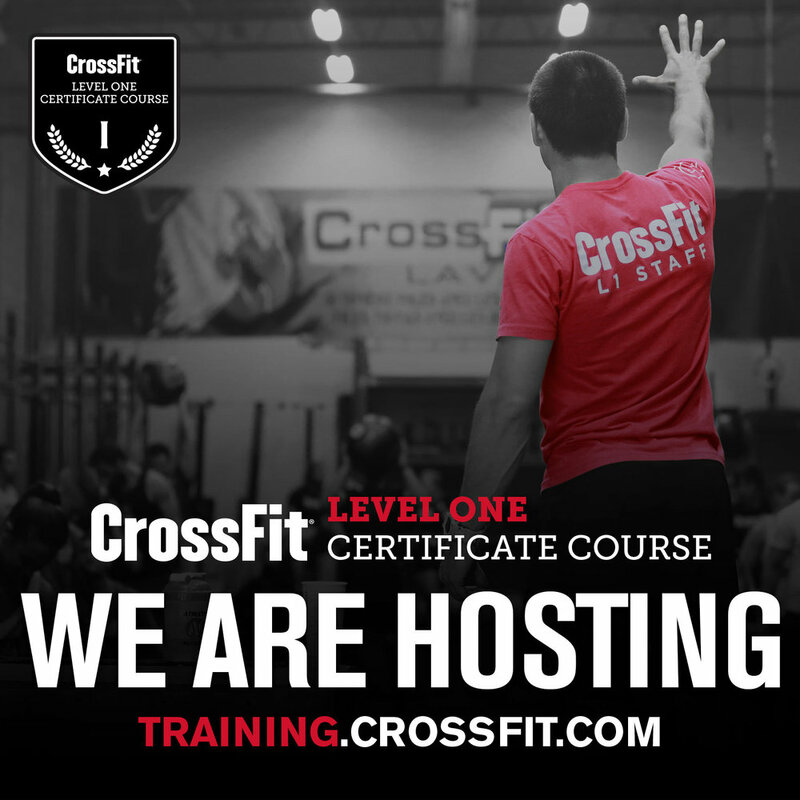 Overview: The Level 1 course is an introduction to CrossFit's methodology and foundational movements. The course includes classroom instruction on these topics, as well as hands-on small-group training for the movements. Register: Click here to register with CrossFit HQ. Overview: This course is ideally suited for any CrossFit trainer serious about delivering quality coaching. Students enhance their understanding of the CrossFit methodology, program design and implementation, and they advance their skills while coaching others in movements and workouts.